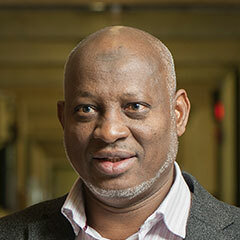 Following a distinguished twenty-three-year career as a Research Scientist, Abdulrahim was appointed as a lecturer at the Department of Petroleum Engineering in 2006. Over the past 10 years, he has participated in many externally funded applied research projects carried out by the Department and CIPR, Research Institute. His diverse range of duties covers the design, fabrication of experimental setups, technical support, training requirements, research capabilities, coordination, selection and acquisition of laboratory equipment and materials and overall supervision responsibilities. Abdulrahim is a member of the Society of Petroleum Engineers of AIME, USA and the Society of Petroleum Engineers (SPE), Saudi Arabia. M.Sc., Petroleum Engineering, KFUPM, KSA, 1986. B.S., Petroleum and Gas Engineering, The University of Engineering and Technology, Lahore, Pakistan, 1983. Designing and fabricating experimental setups, conducting experiments, providing technical support for research and teaching laboratory facilities, coordinating the selection and acquisition of laboratory equipment and material. Aggour, M. A. and Muhammadain, A. M. “Effects of Electro-osmosis and Mobility Ratio on Waterflooding Performance”, The Arabian Journal for Science and Engineering, V23, No. 2B, Oct. 1998. Shokoya, O. S., Ashiru O. A., Al-Marhoun, M. A., Quddus, A., Jarrah, N. R., Muhammadain, A. M. “Corrosion Behavior of Mild Steel (1018) in a Drilling Fluids” NACE 7th Middle East Corrosion Conference, Bahrain, Feb. 26-28 1996. Aggour, M. A. and Muhammadain, A. M. “Investigation of Water Flooding Under the Effect of Electrical Potential Gradient”, Journal of Petroleum Science and Engineering, 7(1992) P (319-327). Muhammadain, A. M. “Effect of Electrical Potential Difference on Oil Recovery by Waterflooding”, Jun. 1986 (MS. Thesis). College of Engineering Sciences Department Service Award, 2004/2005. Distinguished Research Team Award, KFUPM/RI 1999/2000 for the In-situ Sand Consolidation by Low-Temperature Oxidation Project. Certificate of Appreciation for Outstanding Contribution to the Department of Petroleum Engineering 1998/1999. Nominated for Distinguished Service Award, College of Engineering Sciences, KFUPM, 1998, 1999 and 2000. Award of second position in order of merit on the basis of the cumulative records of all the semesters. University of Engineering and Technology, Lahore, Pakistan. Second position academic prizes for the first, second, third, fifth, sixth, and seventh semesters. University of Engineering and Technology, Lahore, Pakistan. First position academic prizes for the fourth and final semesters. University of Engineering and Technology, Lahore, Pakistan.